Thank you so much for your presence here today. You honor us and Michelle and we will never forget. 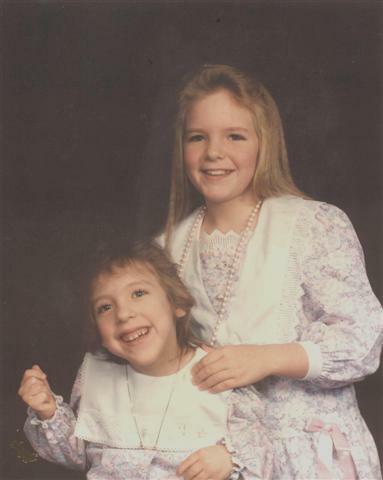 A little more than 20 years ago, God gave our family an unimaginable gift - Michelle Esther Capehart. 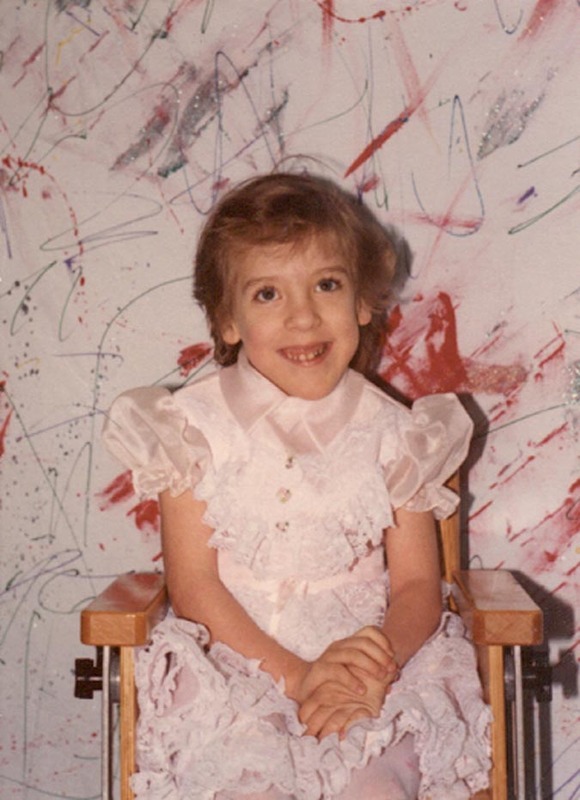 Michelle was a very special gift because she nearly died shortly after she was born. Michelle's medical problems were a difficult challenge that often left her and us in despair and at times even questioning God's wisdom and mercy. These trials were also the process of shaping our lives into the persons we have become today and we would not change a single detail of the struggle. The process was not just one of suffering and struggle but rather one of triumph over adversity through our Lord and Saviour Jesus Christ. As we began to absorb and process Michelle's grave situation, shortly after she was born, we knew we could not manage this alone. We also knew that God and only God could bring us through this. We cried and we prayed and we laid Michelle on the Altar of Sacrifice and gave her back to Jesus. These 20+ years we have never taken Michelle off of the Altar. God blessed Michelle's short time on this earth with many glorious blessings. She had a family that loved her more than anything else in the world. She had friends who accepted her unconditional love and gave her the same love in return. 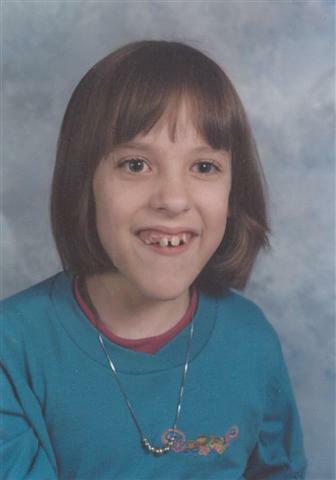 Michelle's life was filed with many joys that made the sorrows worth the journey. Michelle loved many things in this life. She loved her family, she loved music, she loved being around people, she loved her friends, and she loved everyone she met. Michelle first love was her Lord and Saviour Jesus Christ. Michelle's faith journey and witness was a quiet but resolute one. She didn't shout it from the mountain tops but her witness was loud and clear for all who met her. Michelle loved her Grandparents; persons who could do no wrong in her eyes. 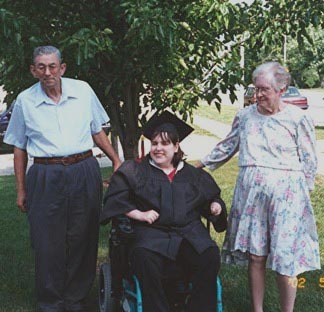 She knew unconditional love from grandparents who had little, perhaps no previous experience with someone with physical disabilities. 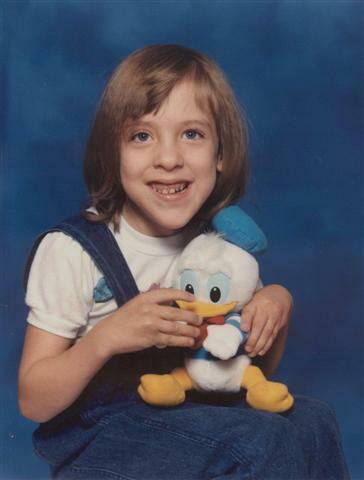 Michelle had a special spiritual connection with her Grandpa Capehart. Michelle often shared with folks that "Grandpa prays for me". We also draw great comfort from knowing that Michelle is with her Grandpa Foust in heaven today. 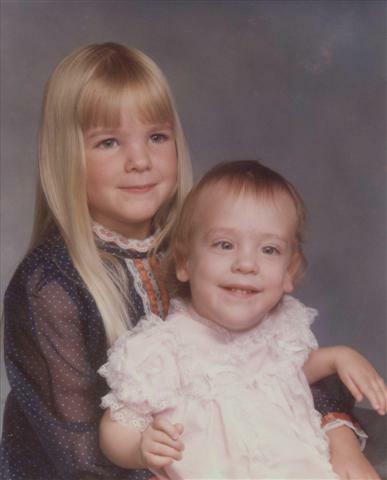 Michelle loved her sister Mary; Mary was at the center of Michelle's universe. 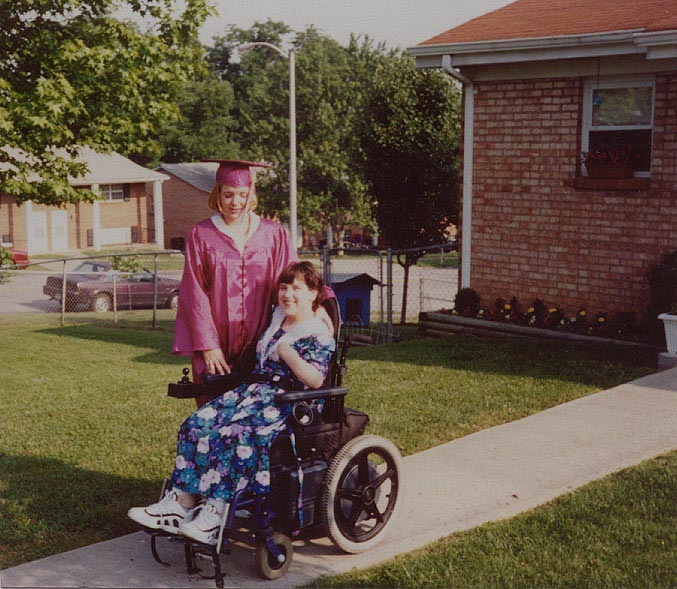 Mary was her mentor, her third parent, her caregiver, her confidant and her closest friend. Jesus is probably the only person that Michelle loved more than Mary. Sherry and I can never adequately express our gratitude to Mary for her relationship with and care for Michelle these last 20 years. To even try would trivialize something so precious. Michelle's most treasured time with Mary came in May, 2001. Mary paid for Michelle to fly out to be with her, for a few days, in California. 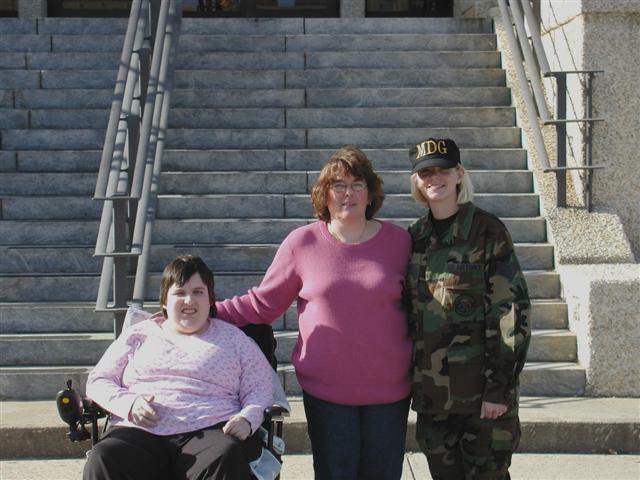 This was a trip that Michelle took alone; amazing for a minor bound to a power wheelchair. During this trip Michelle met a man that she fell head over heels in love with - her future brother-in-law Jorge. Jorge actually spent an entire day with Michelle, because Mary had to work. We believe that Michelle fell in love with Jorge before Mary did. Michelle was a guide for her uncertain parents as they learned to accept and love Jorge as their own son. 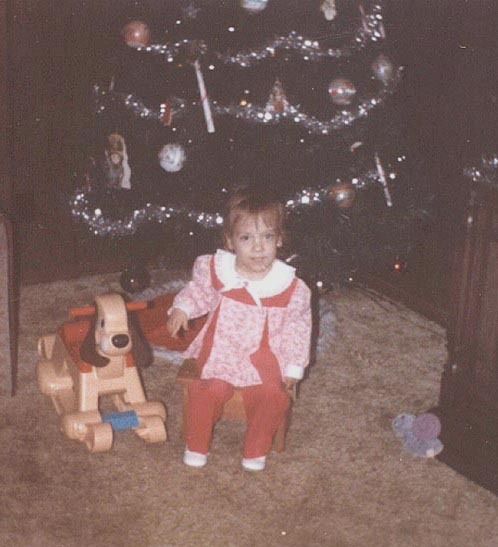 Michelle's aunts, uncles and cousins played significant roles in her life. Michelle was always "looked out for" and nearly everything was geared to her participation. 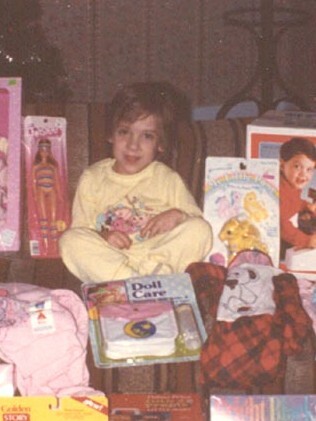 Michelle's collection of dolls and stuffed animals, one of the largest ever assembled in a single building, is in large part attributed to her giving aunts and uncles. The poem on the back of today's program was written by Michelle's Uncle - Paul Capehart. Michelle had another family that meant the world to her, her Lexington family. One branch of this family is her Stonewall Wesleyan Church family. There is not enough time to do justice to the many kindnesses shown to the Capehart family and Michelle by our Stonewall family. Let us thank you for your last and perhaps most precious gift to her. Two weeks ago, Michelle entered this building for the last time to Worship. She was surprised with the beautiful framed certificate, that is on display today, a dozen roses and a song dedicated to her. We will never forget this most precious moment in her Worship life. 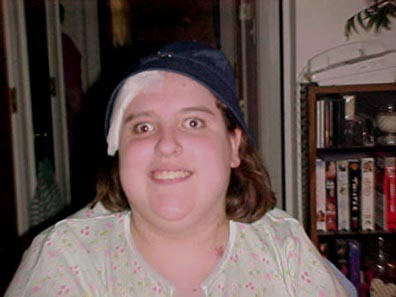 A second branch of Michelle's Lexington family is her "rehab family". 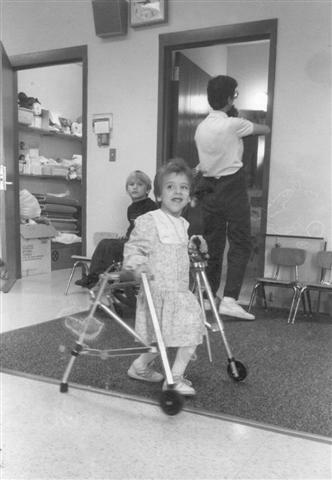 This family made it possible for Michelle to walk; not like you or I but with wheels. Four of the wonderful men that will carry Michelle to her final resting place are the members of this family. Gerry Gevedon, Ken Green, Dan Pickett and Dennis Yurt are among Martin's closest friends. Dan Pickett was one of Michelle's special friends - she greeted Dan this past Thursday with the words "Dan, I have missed you so much". Thank you guys for everything you did for Michelle. You gave her independence and your love; we will be forever grateful. A third branch of Michelle's Lexington family is her "school family". This group includes teachers, aides, therapists, bus drivers, classmates and her close circle of friends. Again, we do not have enough time to mention each person or even highlight specific moments. We do want to thank all of these persons for their role in Michelle's life. Our lives have been blessed by each of these persons. 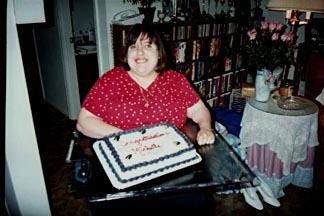 We would like to pay special tribute to Michelle's special friends - the people who had medical problems like her. These children met at school and our families' have become a close knit group who have spent countless hours laughing together and crying together. I think all of us have found it easier to get through the difficult moments knowing that these friends knew exactly what we were going through. Michelle has reunited with some of those dear friends - Tina Harrison and Timothy Poore are two that come to mind. We are so blessed to have a circle of friends like you. A fourth branch of Michelle's Lexington family is her "Kroger/Grogan's family". Both Sherry and I have been blessed to work with people who have taken great interest in Michelle. We have been supported and assisted in wonderful ways. We have both enjoyed flexibility on the job when Michelle's medical problems have called for our attention. We have enjoyed the generosity of our co-workers; we have received more than we ever would have imagined. Thank you for being more than just the people we work with; thank you for being our friends. 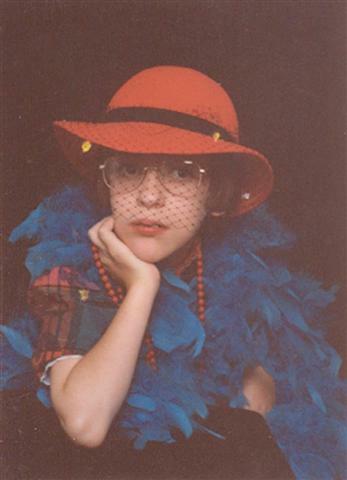 A fifth branch of Michelle's Lexington family is her "special family". Our neighbors Chris, Jennifer and Amanda Brown are a part of this family. The Brown's have become a special part of our family. Chris Brown is one of the men who will carry Michelle to her final resting place. Dennis, Karen, Spencer and Jordan Yurt are another part of our family. The Yurts have done more for us and Michelle than we could ever describe. Michelle and Spencer have been close friends from the first year they went to school together; in many ways they were like brother and sister. Nan Mary Gordan is another valued member of our family. Nan Mary has showered the Capehart women with her love and very personal gifts for many years. LeRoy and Joan Jones have been a close part of our extended family. LeRoy and Michelle connected years ago at Stonewall Wesleyan Church. LeRoy was one of the first adult men to connect with Michelle one on one. Michelle always looked forward to the small bag of candy and money that LeRoy would sneak to her before or after church. LeRoy is the sixth man who will carry Michelle to her final resting place. There are many others that we could mention here but time will not permit. 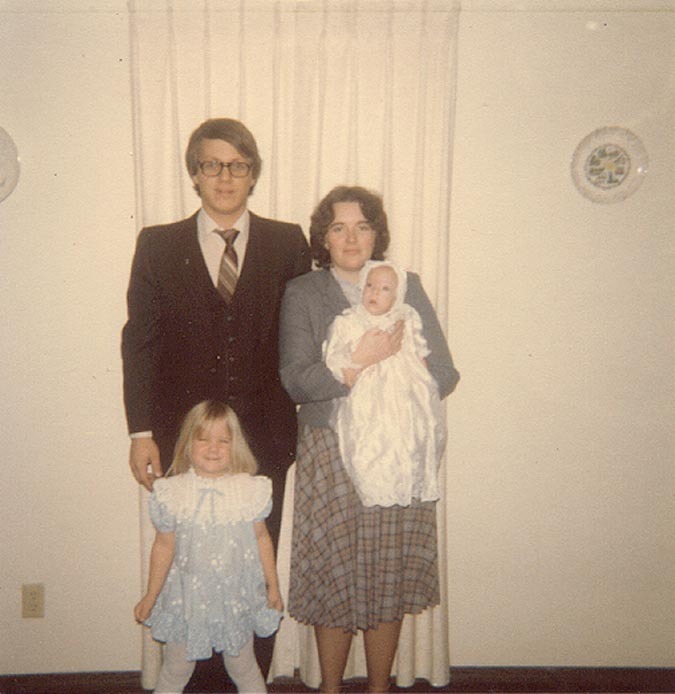 A sixth branch of Michelle's Lexington family is her "Pastoral family". Michelle's Pastors have always had a special relationship with her. These men of God meant the world to Michelle and they took the time to minister to her at her level. Pastor Ben Thomas was Michelle's last youth Pastor here at Stonewall Wesleyan Church. Michelle loved Ben and Tiffany in a way that most are unable to comprehend. Pastor Brewster McLeod is the Youth Pastor from Southland Christian Church. "Brewster" as he is known by everyone is a man with a glorious vision of home missions. Brewster found the perfect ministry project for his youth group; they created the Jesus Party program. The Jesus Party program ministers to persons with special needs and physical disabilities. These events are planned and staffed by the youth. This ministry is the most wonderful thing to happen to and for disabled young people and adults that we have witnessed. 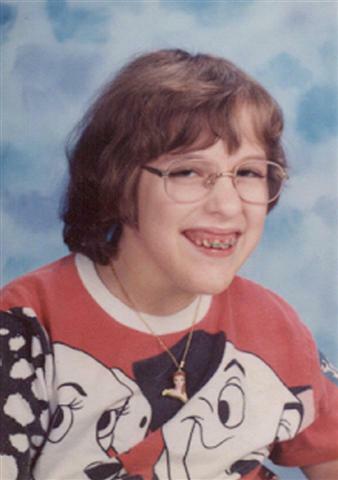 Michelle loved the Jesus Parties and Brewster and was disappointed when her growing health problems prevented her from attending. Dr. Joe Dongell is a former Pastor of Stonewall Wesleyan Church. Joe, Regina, Janna and Jordan have been a very important part of our family for many years. We have felt a kindred spirit with the Dongells as they face Regina's own health concerns. Pastor Phil Perkins is our most recent Pastor here at Stonewall. Phil, Peggy, Katie and Andrew became a special part of our lives when they moved here in 1997. Mary and Katie were roughly the same age and Michelle and Andrew were also roughly the same age. As a part-time Pastor, Phil was in our home more than any Pastor in our family's history. Phil made a point of a very personal ministry to Michelle. Michelle recently shared that Phil shared the word with her and prayed for her. Even as Phil left his Pastoral duties in June, he and Peggy continued to engage Michelle like their Pastor. Dr. David Thompson is also a former Pastor of Stonewall Wesleyan Church. Dave was our Pastor at a most critical time in our family's history and has never stopped caring for us in very personal and intimate ways. Dave and Ede have become like parents to us and we have enjoyed our "low budget" dinners like banquets in a King's Palace. Since Michelle's admission to UK Medical Center in June, Dave has been like a Pastor to us once again. We will never find adequate words to express our gratitude to Dave and Ede Thompson for their friendship and love. A number of our former Student Youth Pastors and Assistant Pastors had a profound effect on Michelle. Michelle loved them all and the goodbyes were very painful for her. Once again, there is not enough time to mention them all. Finally, we want to thank a very special lady and her family for a gift that can never be fully comprehended but a gift we will never forget. We know that this humble and selfless lady will find it very difficult to read this part of our letter to you today because her name is Nancy Ellwood. Anyone that knows Nancy will understand our profound since of wonder and appreciation because they have their own stories of what she has meant to them. Nancy, Rebecca, Jason and Lindsay have been a significant part of our lives since they moved to the Bluegrass Area a short time after we did. Nancy ministered to our children in various ways over the years in children's programs. A few months ago, Nancy took our relationship to a new level that I doubt even she could have imagined. Nancy asked if she could come and spend time with Michelle. Michelle opened up to Nancy in a very special way. She could share things with Nancy that she could not bring herself to share with us. As Nancy became our key to Michelle's heart and soul, we discovered much about Michelle's understanding of her health and the depth of her relationship with Jesus. On August 11, we learned that Michelle had the third occurrence of the tumor that ultimately took her life. That afternoon, Nancy spent two very special hours with Michelle and she took extensive notes of their conversation. This conversation helped us to know that Michelle knew she was dying and that she was at peace with the knowledge. Nancy provided us with the text of their conversation and we never imagined that this gift would ever be matched in our lifetime. Oh how wrong we were. Thursday, Nancy asked if she could come by to see Michelle after the Local Board of Administration meeting. Of course we said yes. Nancy came at 10:30 that evening and had a precious time with Michelle and us. But that too was not the end. Nancy asked if she could stay with us through the night. Nancy was with us through the entire night and was with us when Michelle took her last breath; we celebrated together as we hugged, cried and praised the Lord. The three of us have a special sacred bond that will transcend time and space for all eternity. This is still not the end of the story - Nancy stayed with us until late Friday evening. She bought breakfast, cleaned most of our home, took phone messages and provided support to us throughout the day. We can never thank Nancy enough for her ministry of love to us. 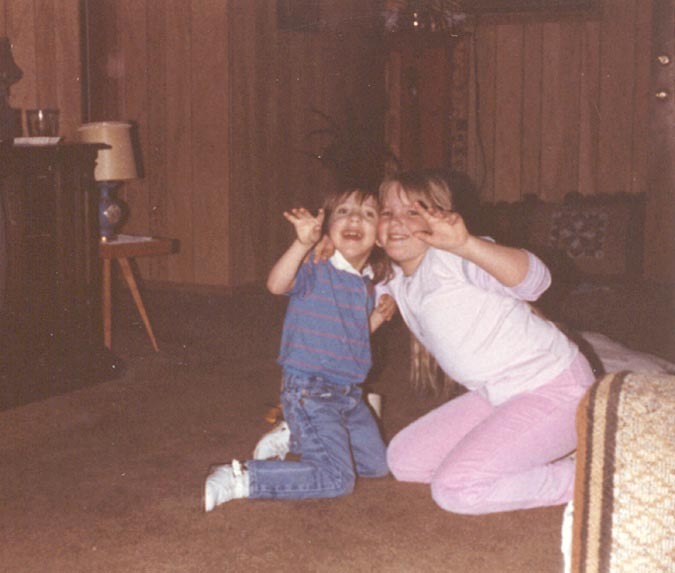 We also want to thank Rebecca, Jason and Lindsay for sharing their mom with us. This past month has been a wonderful, though painful time in our lives. The wonderful visit by Mary and Jorge last week, the very special service two weeks ago and Michelle's last day were unexpected blessings for Sherry and I. We praise God for being with us through the entire experience. 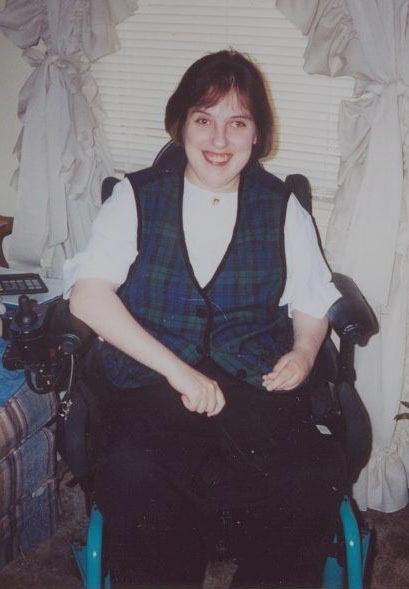 For 20+ years we walked with Michelle in this journey of life. At times we looked into the face of an innocent little girl who was full of wonder and joy, at times we looked into the face of a saint who suffered and yet managed to have victory and yet most of the time we looked into her eyes and saw the face of Jesus. Today our message to you is one of victory, hope and joy. Michelle is looking down today and is praising God that those who meant so much to her are together to praise her Lord and Saviour Jesus Christ. Michelle would want you to know that you can enjoy that same personal relationship with Jesus. If you don't know Michelle's Jesus today, please take the time to talk to one of the Pastors who are here today. Thank you for being a part of Michelle's life; we love you all. 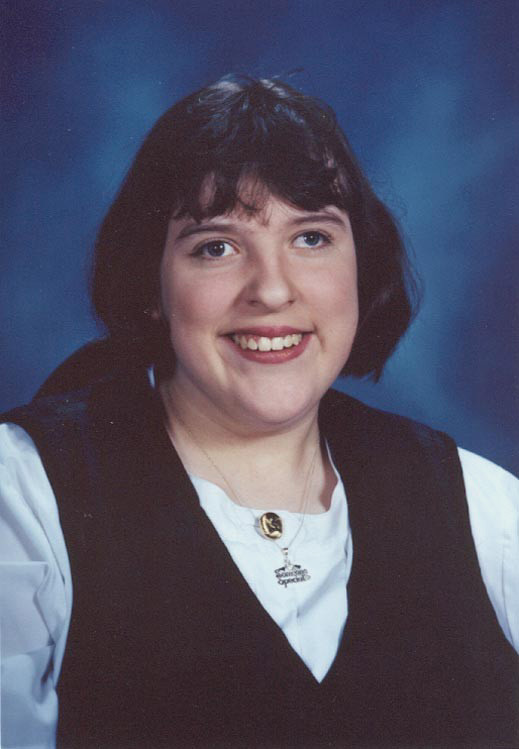 Michelle Esther Capehart, 20, of Lexington, KY, died Friday, September 12, 2003 at her residence. She was born June 20, 1983 in Bartlesville, OK. She graduated from Paul Lawrence Dunbar High School in 2002. She had been active with the Win-O-Lympics program and the Jesus Party program at Southland Christian Church. 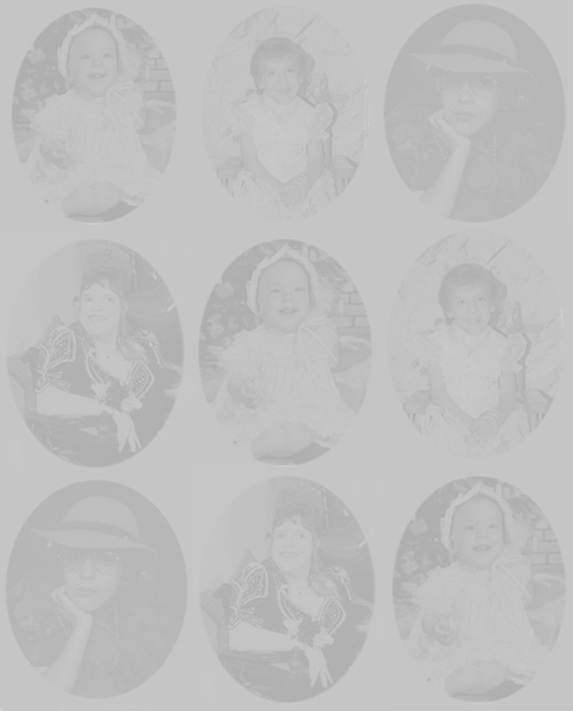 In addition to her parents, survivors include a sister & brother-in-law; maternal grandmother; paternal grandparents; six uncles, five aunts and several cousins. Services will be 10:00 A.M. Monday at Stonewall Wesleyan Church conducted by Dr. David Thompson. Burial will follow in Blue Grass Memorial Gardens, Jessamine County. 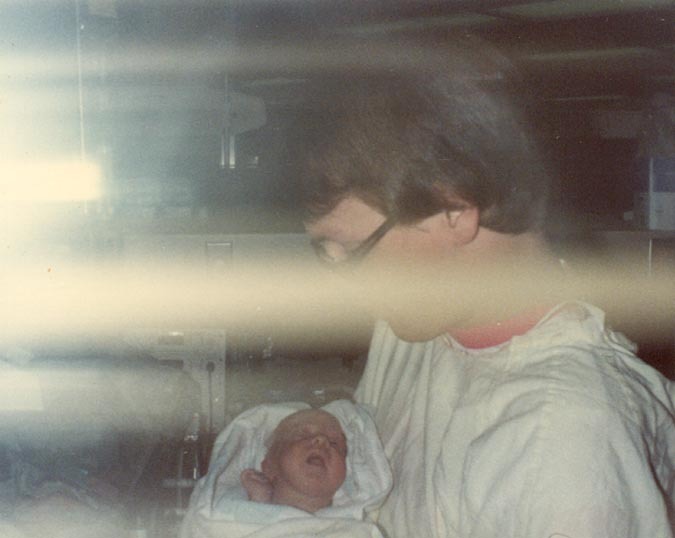 June 1983 -- Our oldest son holding Michelle in the Neo-Natal Intensive Care Unit at a Tulsa, OK hospital. 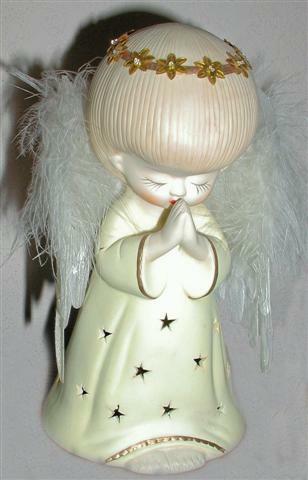 She was flown there by helicopter soon after her birth in the Bartlesville, OK hospital. 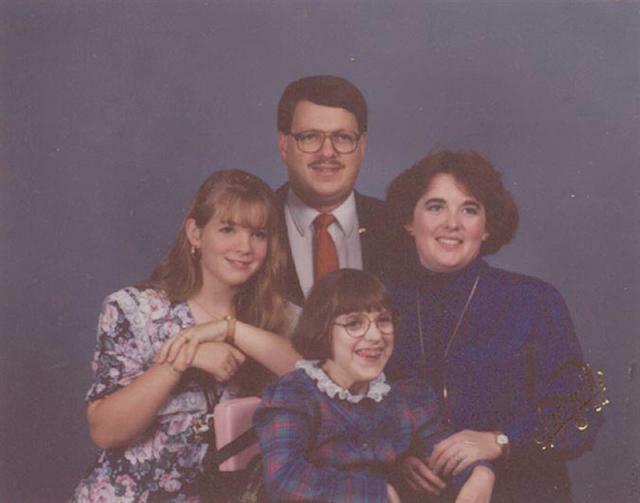 December 1983 -- Our son & daughter-in-law with their oldest daughter & Michelle. Michelle was dedicate to God during the morning worship service that day. 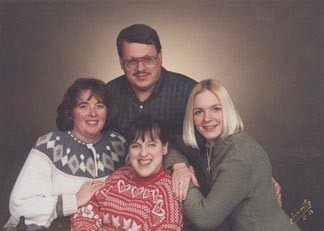 1994 -- Michelle with her parents and sister -- she is wearing braces on her teeth to straighten them. 2000 -- With her parents and sister -- How nice and pretty her teeth look now. Michelle 8th grade & her sisters H.S. February 2003 -- Visiting her sister, Edwards Air Force Base in Florida. The information on this website has been compiled from many sources. We have tried to document and verify all information as much as possible and will continue to do so. If you find an error or have additional information please contact us. 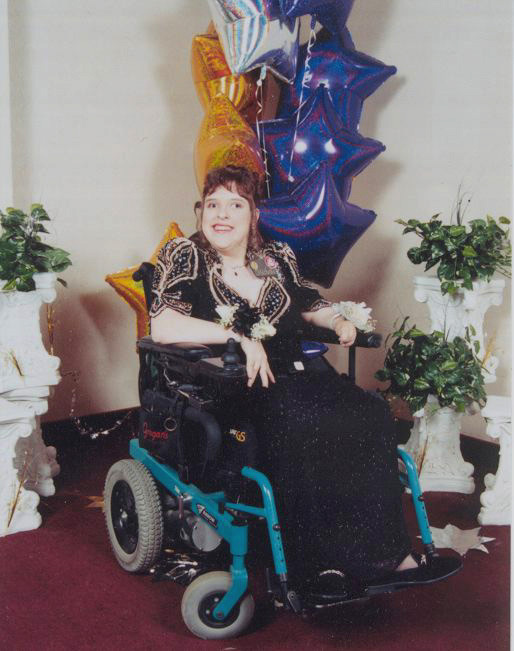 Our Special Angel ~~ Michelle, You Are Special!! 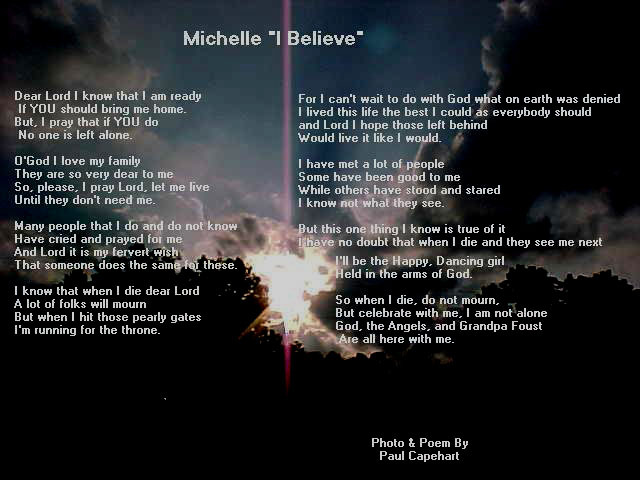 Poem written by Michelle's Uncle Paul. It also was read at her funeral.